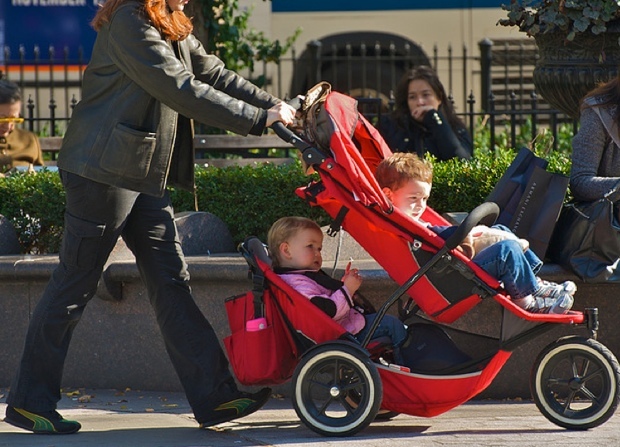 The “Groupon for Moms” just scooped up $20 million in funding. It’s not your father’s deal company. Instead, this startup is figuring out how to use technology to drive business for local merchants. You would be forgiven for thinking that cost-saving Plum District was just another deals company. And you could also be forgiven for thinking that its “moms” sales force were just a bunch of latter-day Avon ladies with no greater ambition than making a little pin money. But if you thought either of those things, you’d be missing the fact that, amid all the talk in the tech world about how to bring local commerce online, Plum District is quietly reimagining the myriad ways local merchants can use digital marketing and other tools to drive business. Not only that, but just as Zappos reimagined how companies should operate to serve modern-day digital customers, Plum District is creating new models of work to serve its employees and customers. Some of the biggest names in the Silicon Valley venture community believe in the Plum District revolution. Today the two-year-old company announces it’s received a new $20 million round of funding led by General Catalyst Partners. That’s on top of more than $10 million already raised, from Kleiner Perkins Caufield & Byers, among others. Plum District, which currently provides deals “for moms, by moms,” is also announcing the acquisition of two other companies–Doodle Deals, which will give it a foothold on the East Coast, and, more interestingly, Chatterfly, a mobile platform for customer loyalty and rewards. Chatterfly’s tools expand the type of services Plum District’s sales team can offer local businesses. And in the long run, Plum District CEO Megan Gardner tells Fast Company, the startup sees its sales team as becoming full-service consultants to local merchants, providing them with a range of digital options and advice on which strategies to use. Until now, Plum District has touted its sales force as a pride of moms with the expertise to know what other moms would like. But what the company hasn’t spoken about as widely is that these aren’t just a bunch of bored housewives. Many are highly experienced former PR, sales, and marketing executives who stepped out of the workforce when they had kids. Plum District becomes an attractive option because it offers the women a job in their chosen fields with the kind of flexibility often not available in the traditional workplace. “They’re looking to get back into the workforce on their own terms, and we’re giving them products to sell,” Gardner says. The company currently employs 400 people. Over 300 of them are salespeople working in 27 markets in the U.S. But flexibility isn’t the only thing Plum District offers its sales force. It’s also inventing mobile tools that allow its “district consultants” to manage their territories during the interstitial moments of a mother’s life. “If you have your iPad and you can work on it while you’re in carpool line, that’s a no-brainer,” Gardner says. Plum District’s technological innovations are not limited to the sales force. Gardner says the company is also exploring new tools they can offer merchants. Solving problems like that, through technology, are among the things Plum District is considering, Gardner says.